We believe that for any Web Design Company in Ahmedabad to succeed on international horizon requires the fruitful integration of technology, ethics and domain knowledge. Since last so many years we have been working day and night with making above mentioned sentence as step to success and growth. We believe that following such methodology, we can offer our customers the best result into the field of website design, search engine optimization, E-commerce web development and strategic brand identity. Our methodology of working on any project development is unique and totally based on the custom requirements. We understand what exactly our client is looking for from his website and what exact goal he wants to achieve through it. Based on that, we perform online research, analyze the competition and study visitor’s behavior to get outcome that not only looks great but performs as well. Our team is experienced and expertise to provide solutions using wide range of technology and integrating customer focus. Flow of our methodology for developing any project is briefly mentioned below. Brain Storming: The first step that we follow on almost all sort of project development like E-Commerce web development, creating brand identity, social media marketing or search engine optimization is to analyze the client’s requirements. We understand it thoroughly, ask many questions and perform market research to know more about the industry and the trends in it. We put it on our strategy board to know who all are the visitors of the website and what exactly their purposes to visit the website. We work on this primary goal and design a rough framework that leads to final product. Planning: Based on the research that we perform and analyzing the client’s requirements we develop a wireframe that list out all possible features into it. We also keep an eye on current trends on internet marketing so that you get the exact product that is in match to the current standards. Creating Project Insight: Creating project insight and developing a base is one of the most important aspects for any website development and creating strategic brand identity. We at Brand Core Media firmly believe that our website should not only attract the people but also the search engines and encourage visitors to take action. Based on brainstorming and research we do, we produce project insight that is quite useful for our customers. Execution: Once we pass through the project insight stage, we create a wireframe structure and based on that we produce actual design with graphics. It gives us an idea that how our website will look. Also once we get approval from customers we perform website design process with HTML, CSS and coding to create actual website. Project Evaluation: Once the website is ready with the list of all features and design perspective, we measure it for performance evaluation. We test website for user interface, links and text, emphasize on content and keywords, check the website loading speed, image titles and attributes and interlinking of pages. We check website contact form and other forms that we have enabled in site. Also we check E-Commerce functionality for website and ensure all product listing and payment features. Support & Maintenance: Once the project is ready and uploaded live for public domain, we provide the support and maintenance service for your website. This includes regularly taking backups of your website, checking for malware or other inappropriate activities, updating it for search engine purpose and more. Promotion: Once the website is ready, we promote it through many more. We do search engine optimization, social media marketing, pay per click campaigning and other online promotion activities like email marketing and more for your website. We do it with an aim to gain higher visibility and better ROI through your website. Our methodology at Brand Core Media is simple and it always targeted with keeping customers in center. We never try to oversell our products or services and we always use simple language to make sure our customers understand the exact meaning. We never use technical language and jargons to our customers. 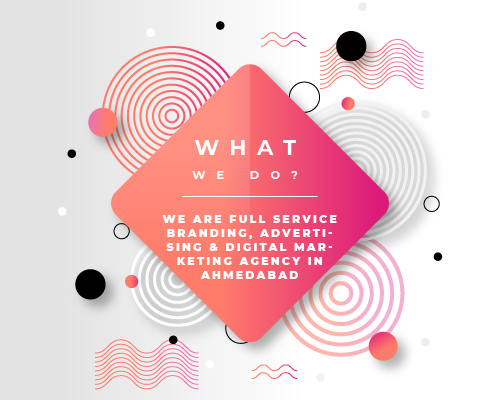 Brand Core Media is one of the leading website design and development company based in Ahmedabad providing umbrella of services like search engine optimization, social media marketing, pay per click campaigning and creating strategic brand identity. We use easy and explicable methodology and try to offer a product with right balance of technology and usability.